SOME of the items found above the women’s toilet in the university yesterday. KUCHING: An IT lecturer from a private college here was caught at a Pos Laju premises on Monday evening at about 5.45pm for peddling drugs and would face the death sentence if found guilty. A police team from Badruddin headquarters acting on information received checked the man from Jalan Laruh who was behaving suspiciously. Although no drug was found on him, his vehicle parked outside was checked and police found there two packets of lumps believed to be ganja. On the same day, the police team went to the university and found in the ceiling of a women’s toilet more drugs. 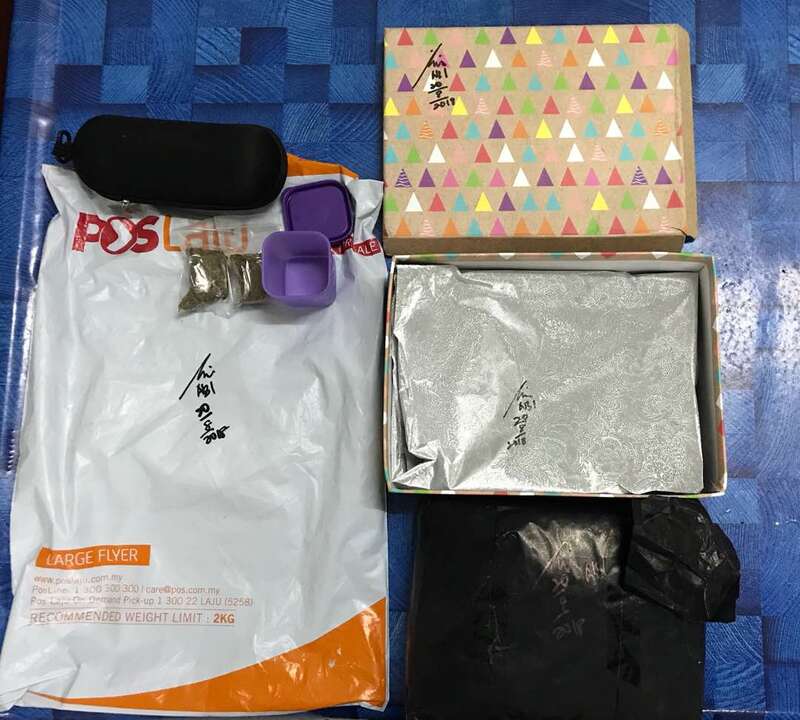 A box written “urban decay” contained more ganja and another black bag with words “design your future’ were two more bags and a weighing machine. A cutter knife was also found. 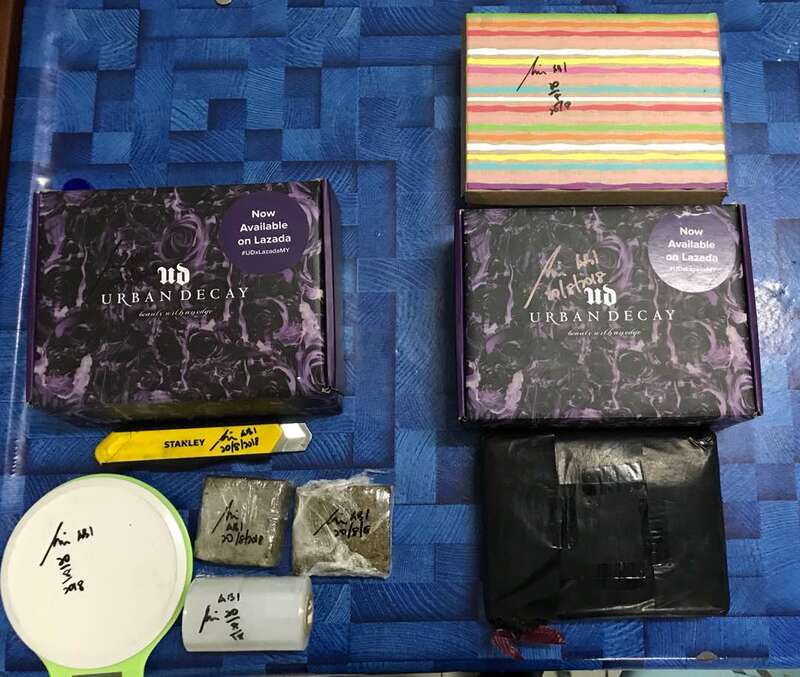 Total marijuana found weighed 2,240 grams with street value of RM22,300. The suspect was ordered to be remanded yesterday (Wednesday) for seven days pending investigation. He was also tested positive for drugs. The suspects would be charged under Section 39B of Dangerous Drugs Act (DDA)1952 read together with Section 6 of DDA 1952 since the initial screening of urine was positive of drugs. He claimed that he was engaged in drugs since 2010 and started distributing from the middle of this year. Sarawak Head of Sarawak Narcotics Criminal Investigation Department, Supt Sahar bin Abd Latif confirmed the case. Private college lecturer nabbed for drugs 0 out of 5 based on 0 ratings. 0 user reviews.